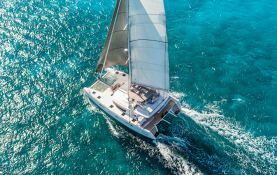 The Lagoon 52 is one of the latest born of Lagoon catamarans; it benefits from the latest technologies implemented by the Bordeaux site. 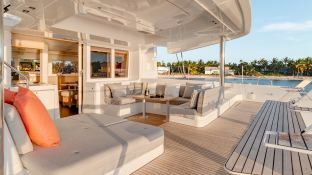 Moreover it will make you benefit from his unbeatably comfort to sail from Martinique to the Grenadines. 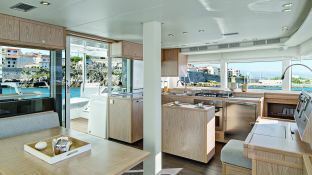 This skippered Lagoon 52 welcomes up to 12 passengers on board to explore the Guadeloupe. 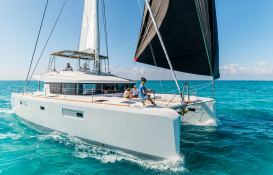 This catamaran can reach a speed of 10 knots. 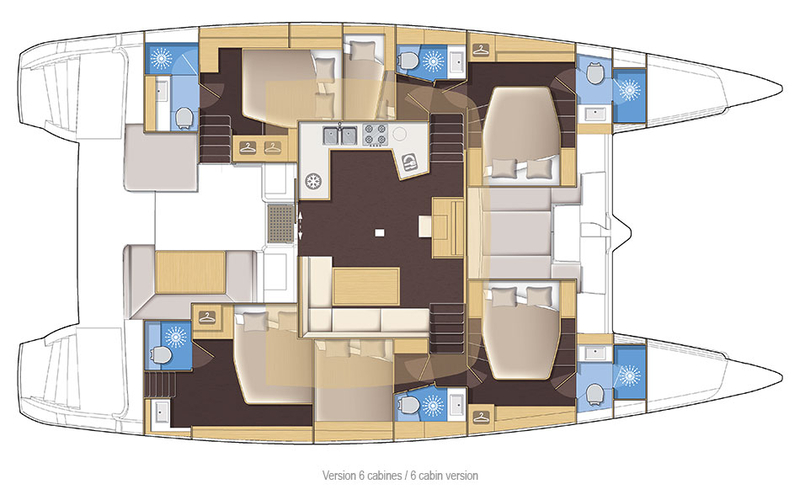 This Lagoon 52 available for yacht charter in Guadeloupe, is fully equipped with generator, solar panels and also CD for leisure. This skippered catamaran is available for yacht charter with a base price of 6 600 € (approximatly 7 443 $). 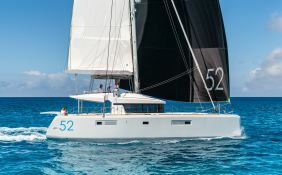 boat Lagoon 52 Lagoon Catamaran yacht charter reviews : 5 out of 5 based on 1 rating. 1 user reviews. "Very good service" Fast replies to all e-mails. The agency - our contact was Barry - really seemed to care that we have a good time -- which we did!